Last month, I was lucky enough to get a sneak peek at an early version of Uncharted: The Lost Legacy. Though still early in development, it’s showing loads of promise. I was able to get unprecedented access to the minds at developer Naughty Dog to learn more about its next Uncharted adventure. 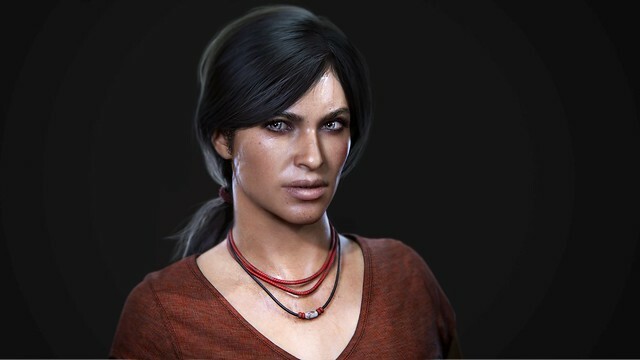 Chloe Frazer and Nadine Ross are reluctant partners who don’t always see eye-to-eye, but who must work together to obtain the priceless Tusk from a mysterious warlord named Asav. “I like to figure things out as I go,” Chloe mutters at one point in the gameplay demo. “I noticed,” Nadine snorts. Why revisit Chloe? For Naughty Dog, it was an easy decision. She’s an interesting character with a darker moral compass compared to Drake. Writer Josh Scherr remarks: “They’re both treasure hunters. Drake has a bit of a hero complex, but Chloe looks out for number one, first and foremost.” It’s Chloe who initiates the hunt for the Tusk. With characters and the setup out of the way, it was time to get a closer look at the game itself. Based on what I saw, The Lost Legacy’s overall gameplay style will be familiar to Uncharted 4 veterans. But Naughty Dog is determined to add further refinements and enhancements based on lessons learned during Uncharted 4’s lengthy development cycle. 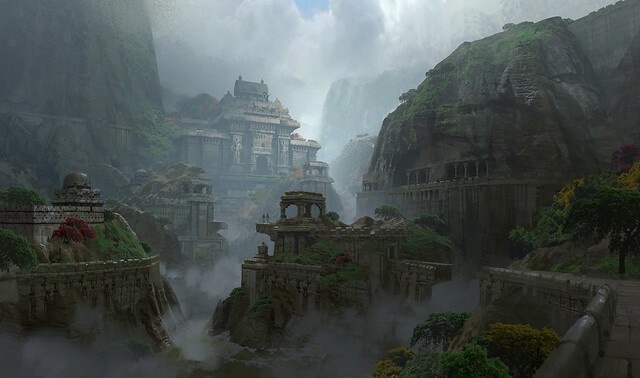 While developing Uncharted 4, Naughty Dog had hoped to go even bigger on certain huge locations such as Madagascar, Art Director Tate Mosesian explained to me. But some concessions had to be made in the interests of maintaining the game’s development schedule. 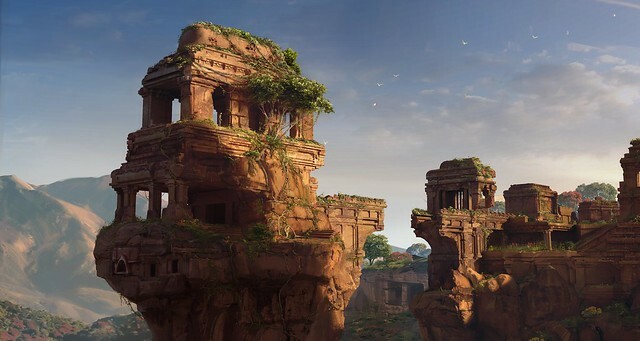 Not so with The Lost Legacy, where the game will benefit from an updated production process that can see up to five teams working on one location at a time. There’s loads of environmental variety, partly thanks to the natural diversity seen in the Western Ghats region of southern India. You’ll explore lush jungles, soaring mountains, and ancient temples, in addition to the war-torn urban environment seen in the PSX 2016 reveal. And there’s new combat gear to master. A silenced pistol (The first lethal stealth weapon in Uncharted history!) will add new tactical wrinkles to The Lost Legacy’s stealth play and expand your combat options. Meanwhile, C4 proved so popular among Uncharted 4’s loyal multiplayer community that Naughty Dog couldn’t resist adding it to The Lost Legacy. Why not? Another new mechanic, lockpicking, was first seen in the game’s PlayStation Experience 2016 debut trailer. Though the exact lockpicking mechanics are still a work in progress, the team was so fixated on capturing the tactile feel of the act in-game that they purchased a real lockpicking kit to practice with. That’s dedication! One thing that definitely won’t be changing, though, is Naughty Dog’s approach to the series’ iconic action set pieces — some of the most memorable moments in gaming. “We obviously love them,” Margenau teased, adding that The Lost Legacy will include set pieces that do “things we’ve never done.” Sorry folks — I couldn’t squeeze anything more out of him than that. It’s worth noting that The Lost Legacy, which will be launching later this year as a standalone game, will be a lengthier experience than The Last of Us: Left Behind, but shorter than Uncharted 4. As for fans hoping for a Nathan Drake cameo in The Lost Legacy? “We entertained a few possible ideas around including Nate as a secondary character,” Scherr explained. “But everything we did felt superfluous because we tied it all up with Uncharted 4.” Margenau was even more direct. “We’re not going to touch on Nathan Drake in this, at all.” So, uh, maybe don’t hold your breath. “You can sort of imagine Drake sitting on the couch playing Crash Bandicoot while Chloe and Nadine are off galavanting,” Scherr joked. “Yeah, the Crash Bandicoot remaster,” Margenau added. It’s time for Uncharted to go open world!! Open World games tend to be fun to play but the story gets left to the wayside, and I play uncharted games for the story not the gameplay…. So keep uncharted about story, don’t do an open world. Dynamic level design that allows me to tackle any missions i want is great but not a sandbox. Lol they literally said it is going back to the style of the first Uncharted game. In other words, after the main prologue and reuniting with Elena and heading to the main island, the game truly beings. There is essentially no jumping to other sides of the world after 3 or 4 chapters in the game. The game took place entirely in this one location. At some parts of Drake’s Fortune you can even see further down the map like when you are at the fort and you can actually see the forest path you will be taking with Elena in a bit and you can even see the Customs house too at the other side of the peninsula. So yeah, how is that “open world” in the Ubisoft style context you are implying? I can’t wait for this. Uncharted 2 had a very similar awesome pacing style where you were always moving forward in the game with insane no loading times but it was silly in U3 with the constant jumping from England to flashback in Colombia, back to London, then to France, then to Syria and so on. Cant wait!!!! Will it get a retail release though? No. Going open world like some other video games have is a Horrible idea, It takes away from the storytelling mechanic and would throw you off. Imagine Ghost Recon Wildlands but with Uncharted play styles…. Not the best duo. Do Uncharted 4 season pass holders get this for free ? The Answer is yes so lol at you’re self. Get ready to pony up. Pacing was terrible in Uncharted 4 bored many people to death in many parts, Uncharted 2 is king in pacing, very fun to play and is great for replayability aswell. What you said about UC2….->Amen. Really excited for this release! You have to find a way to continue with the Uncharted franchise. I understand Nathan Drake’s story is over. However, you could use someone else…………………..to carry on the Uncharted Legacy! Can’t wait for this! Was not a big fan of the online part of this game don’t think I would want to drop money on an extra story. Online? Who the hell recommended the multiplayer mode of Uncharted to you?! Uncharted isn’t even about the multiplayer unlike games like CoD and Overwatch. @ Kakashe9198 – Online doesn’t have anything to do with the story,I dunno why is he even talking about the online but you clearly don’t play or never played UC Online for real to say that. Honestly Sony give us Socom PS4!! First stealth pistol?! Uncharted 2 had that tranquilizer gun. Hold up uncharted 3 had the silenced pistol during the London Underground Chapters. The lost legacy is not the first uncharted to have silenced lethal weapons. It said the first “leathal” silent pistol. The tranquilizer gun wasn’t leathal it just put them to sleep. There was a silenced pistol in Uncharted 3. I don’t know how I can see Nadine as even an anti-hero. She was redeemable until she fricking locked three dudes in a death trap. And I hope stealth has been deepened. As much as I enjoyed UC4 the optional stealth made the game real slow. If you want to have stealth, make it more interesting than “press square when near” or “pull that guy off a ledge”. Give us more jump kills, those are always fun. Greedy money grabbing game devs. I’m getting so sick of being treated like a dumb consumer. Money hungry?! You can’t be serious, ND is giving us some extra hours of content for mostly much less than $60-$40. And not to mention it’s a completely different story from any of Nathan Drakes adventures. It’s not like it’s a story DLC they could have easily put in U4. You’re probably someone who would complain about the witcher 3’s blood and wine expansion. You know what is a far greater sickner? Waiting 6 years for Remedy to make a new game and then it being anything better than mediocre, and at full price too. This Uncharted game will no doubt be glorious for anybody interested in picking it up. You clearly are an Uncharted hater so why would you be interested either way lol? You would only be a “dumb consumer” if you DON’T like buying critically praised and well received games………….. and then went and bought it anyway. Direct all your fake concern to the “fans” of Mass Effect who are no doubt going to be RIPPED off over the next 24 hours when they pick up their shiny, new, day one, broken, buggy, disappointing, ME Andromeda. @ andrewsqual – You forgot to add clumsy…clumsy and with animations from the 90’s,haha. Can’t wait! 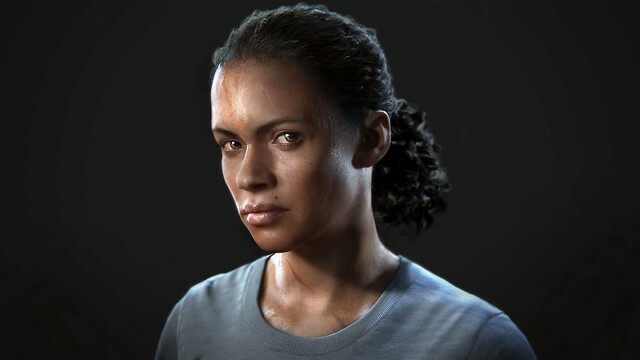 I have complete faith in Naughty Dog, the most reliable and greatest game developers of all time! I think wider linear isn’t as good as open world. The key is to keep player interactions rich like in Horizon and not the cookie cutter feel in missions and side missions you get in Ubisoft open world games. Isn’t the silenced pistol available in uncharted 3? Short(ish) with bigger maps sounds like an awful recipe. In other words, as wide as an ocean but as deep as a puddle. Uncharted 4 was a great technical masterpiece, but the gameplay didn’t reach the same heights as earlier entries. This new entry doesn’t seem particularly interesting. I can understand developers wanting to move on, yet Drake was a likeable and well-liked character. By not wanting to have even an cameo wtih Drake rather spits in the face of the fanbase that made the franchise a success. Sounds more interesting than how you put it. If ND is committed to ending Drake’s story then it makes sense to not have cameo right after they wrapped things up for that character. Really looking forward to this !!! I’m really into everything I’m hearing about Lost Legacy, and I’m more than fine with Nate not popping his head into this one. I loved the story arc he had and it’s best not to mess with a good thing. However, I do hope he gets some kind of shoutout in idk a note or a text message or something if only because Chloe and Nate’s friendship was left hanging in a weird place in 3 and only barely touched on in 4 and having that hanging out there is unsatisfying. I was kind of hoping they would do something with Drake’s daughter like she carried on what Drake started. Threw me off that they’re​ doing Chloe and Nadine when the ending of U4 left off with Drake telling his daughter about his adventures and her being so interested in it. Would’ve been a great pick up for the new uncharted series in my opinion. Still see this as DLC and after readind this post I’m really wondering how long will this be cuz I felt like reading a preview of UC5 and honestly bigger than Left Behind but shorter than UC4 doesn’t say much.Also had 100% sure this was set before UC4 lol. Glad ND will be focusing on set-pieces cuz in UC4 those were a huge disappointment,had way too few set-piece moments and way too much climbing.Way to mislead people showing that Madagascar chase scene on E3. Now the most important thing…“the biggest [area] ever for an Uncharted game”…this is really something to worry about,Madagascar was insane to explore and ND wanna do something bigger?…I love to explore in games but there is nothing worse than exploring an empty area and plus UC ain’t a game for that,it felt really outta place in UC4 and it was one of the things that made the game less great. With all this said…looking forward to the development of the relation of Chloe and Nadine and also to see how they met. Bring it on. I’m waiting, willing and able to take on any Uncharted, new premise or sequel. Maybe for “The Lost Legacy” an open world atmosphere will be a draw, and I’ll surely play and explore to my hearts content, but I just can’t see retiring Nate, Elena, Sully and (bad brother) Sam. They’re all so memorable it’s hard to put them on the shelf, never to return to action. Please forgive my possible lack of knowledge. I’ve looked but not in last 2months approx, is there a Single Player DLC for UC4? I’m not a fan of multiplayer, too much a noob at console gaming. I truly enjoy UC & played them all. UC4 release a long time ago, I thought for sure they’d have done a single player DLC. Does anyone know if they have and I’ve just missed it somehow? Also, unless I misread/misunderstood this article, it’s a Multiplayer DLC, was I correct in that being the case? I’d really appreciate any good info my fellow gamers have. Enjoy the world so much, I’d love to get back into it, but really want single player addition, will pay whatever within reason. Thank you in advance for your time, information and help!